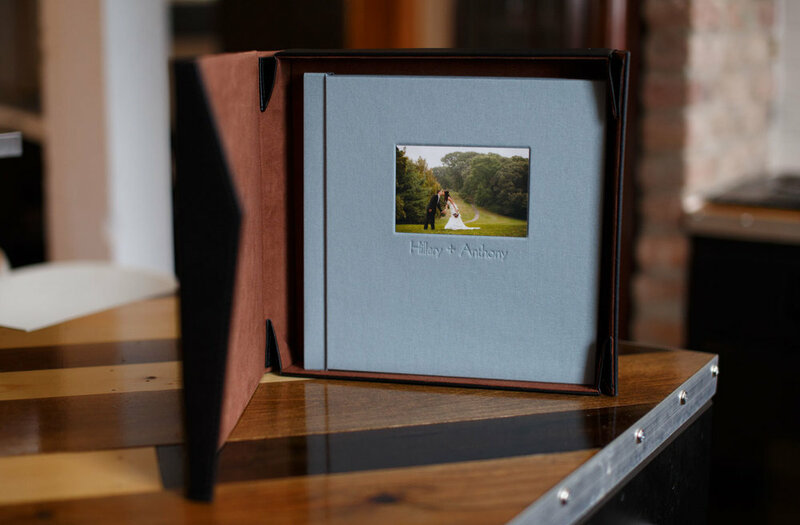 All albums are custom designed in house and come with a safe keeping box as shown in the samples below. 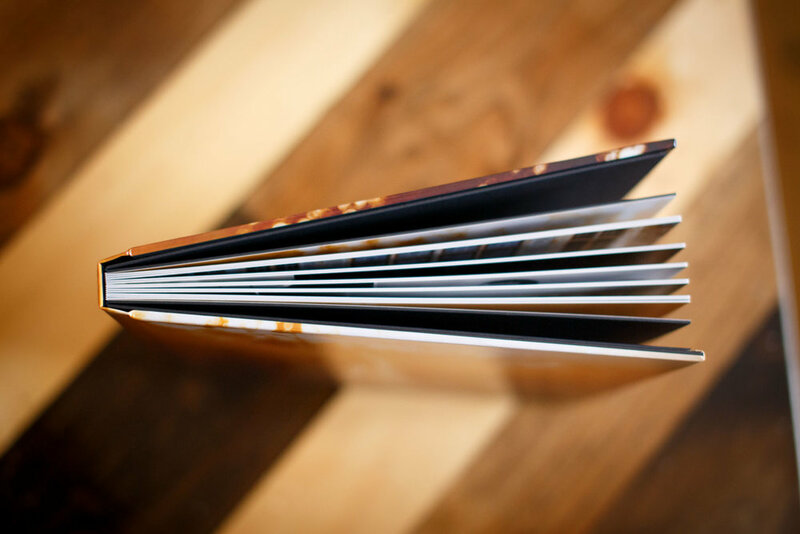 Material choice, color, text imprinting & photo inlay are all customizable. 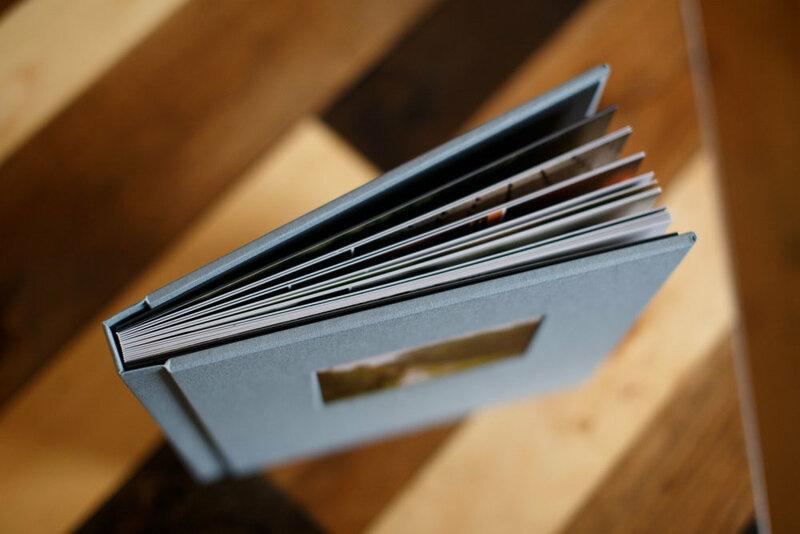 Feel free to click through the slideshows below to see samples of the different cover options and design styles. 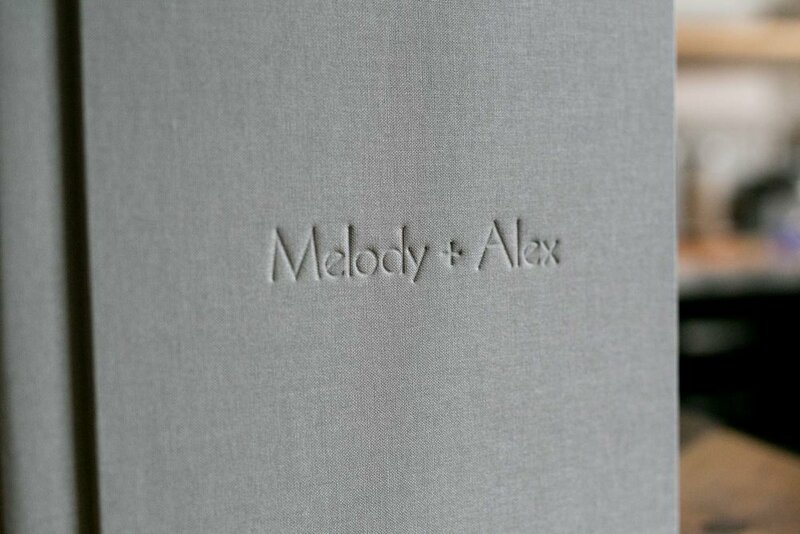 ‘Smoke’ linen cover. 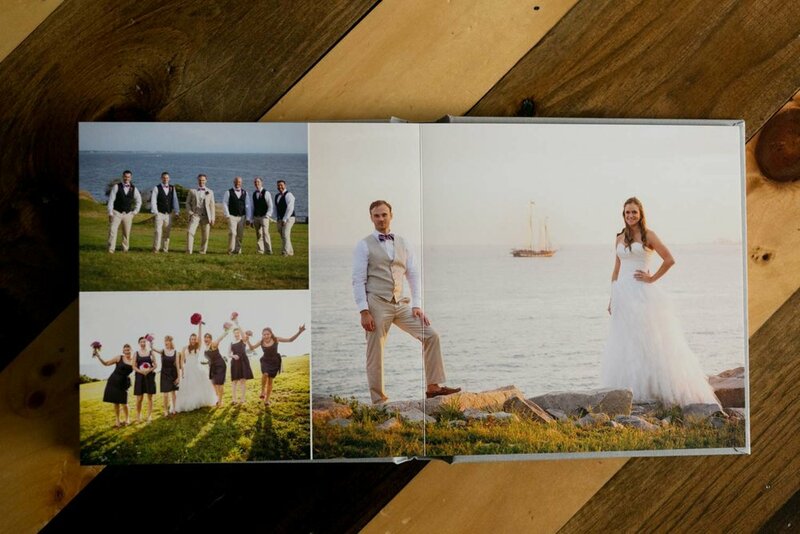 This album is a smaller 8x8 size example of a parent album.